Hey what’s up it’s me Mateo. This is a the first blog post on how my wife and I have been able to make money from home with our laptop and home computer. We wanted to share a brief breakdown of what we do that pays us, who pays us, and how we got started. We will share more details of our day and new job opportunities over the next few weeks. Traci makes her income from two online companies. She is able to do 99% of her work from her laptop. The other 1.0% of the time is an occasional phone call with the two different companies she works for to check in, go over upcoming projects and sometimes just to catch up! Traci handles e-mail customer support. She helps customers with their phone case orders they have made online. The daily job tasks can range from confirming an order number, responding to unhappy customers, placing re-orders, or even explaining why it takes more than two days for an order to get to Kazakhstan. The job is actual work, with customer service skills, and compassion involved. The great part of the job is she can do it from her laptop wherever and whenever she wants. She does not have a set schedule on when the job needs to be done, as long as it’s done and the inbox is never backed up. It’s typically 15-20 hours per week of billable hours. Mahalo Cases treats her well, respects her as a team member and she truly enjoys helping people get their awesome phone cases. Traci applied for this job via upwork.com She applied for several jobs, had the customer service experience and interviewed well for the position. It started out as a temp position through upwork, but it turned into a direct contract position with Mahalo Cases. Traci is the community manager. She helps businesses with their customers reviews, and manages the Twitter account for sitejabber4Biz. This job is able to be done 100% via e-mail and through biz.sitejabber.com She helps businesses respond to customer reviews and maintain their online reputation on SiteJabber. SiteJabber is a review site for web based businesses, kinda like Yelp for the web. Traci typically has be available from 9-12 daily to respond to customer requests and then check the inbox again late in the afternoon for anything that may need immediate concern. This job is about 20-25 hours per week. Traci loves the way they make her feel a part of the team. She enjoys doing this job and is excited about more work from this company in the future. Traci applied for this job on Angel List. 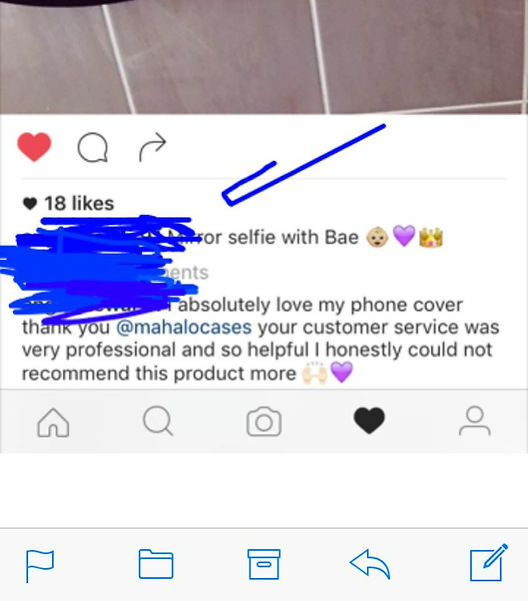 She had the experience with Mahalo Cases, and they gave her a positive recommendation. Traci interviewed for this position and it was about a two week hiring process. 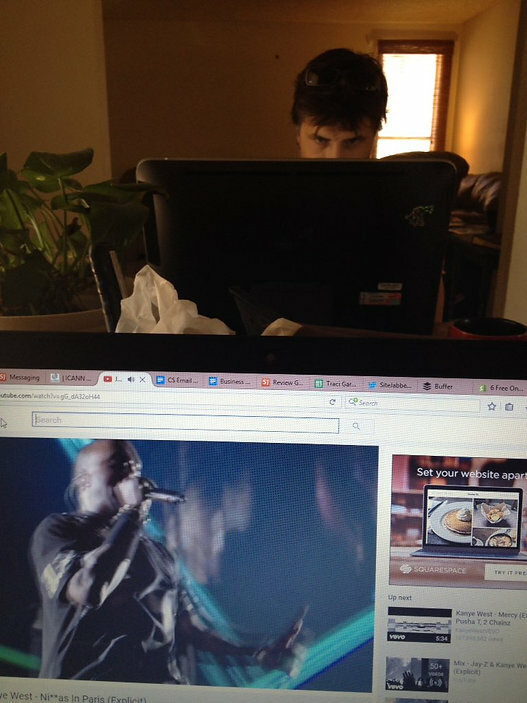 Traci taking a pic from her work station! I make money from a few different jobs. Social Media Management, Small Marketing Projects, Web Design, Fiverr Gigs and Advertising. I post themed content, build a targeted audience and engage the businesses community on Facebook, Twitter, Instagram, Google + and LinkedIn. Managing these accounts takes me a few hours a week per business. This is my main source of consistent income. It’s fun to do and I love helping grow their social media brand. Clients pay $150-500 monthly depending on how much they need and what services are included. 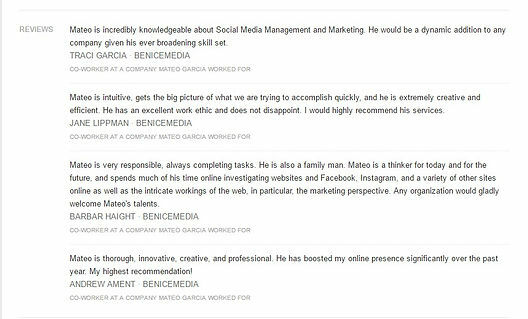 Services include e-mail marketing campaigns, website updates, blogs or additional advertising with beNICEmedia. These jobs were created by staying in touch with my previous clients and referral partners from my mortgage business. My first few clients were Realtors, Loan Officers, Title Companies and Appraisers. I currently have people reach out to me on Social Media to find out what we do, and this starts a conversation about Social Media Marketing. Another way I make money is doing quick projects for sales people and small businesses. These projects range from creating a Facebook page, setting up an e-mail marketing campaign, or organizing a database. These jobs usually take less than an hour or two to complete. I attracte new clients weekly, and have repeat requests from clients. The price for these services range from $50-300 depending on the time involved and the job completed. A few of the projects started from referrals of a few of my social media management clients. Once I complete a project for a client I stay in touch with them on Social Media and E-Mail. They usually hire me for additional work or send me a couple referrals. Love Working With These Clients! I also make money setting up simple web pages and landing pages for sales professionals and small businesses. Most of these are created thru Wix.com. A few of them are hosted on a server by the client or others stay on my free Wix network. I do 2-3 of these a month, with fees varying from $75 to $300 depending on what the client wants and time involved. Fiverr Gigs are another way I earn money online. Fiverr is an online platform where businesses can find quality services at an amazing price. These services include social media requests, viral campaigns, Twitter and Facebook marketing. The gigs start at $5 bucks but my average sale is around $10 per gig. Most gigs take less than 30 minutes to complete. I’m currently doing about 20 Gigs a month. Fiverr has a built-in audience of businesses that need help with their marketing. 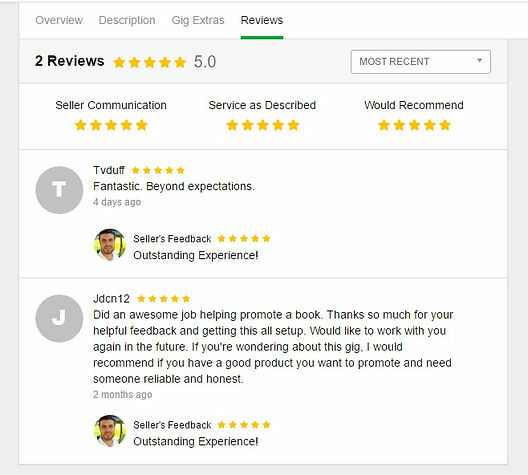 I have received gigs from people searching on Fiverr and seeing my positive reviews. I also share my Gigs on Social Media with the positive reviews included in my posts. I also make a little money from advertising. I receive $50-75 per month to share or mention a business or product on my social media platforms or websites. These are typically sales professionals or start ups looking for a little Social Media Boost. Google AdSense and Youtube has been earning about $8-9 per month as well, it’s small but grows every month. As you can read above none of these jobs are get rich schemes or jobs that for no effort you get a paycheck. 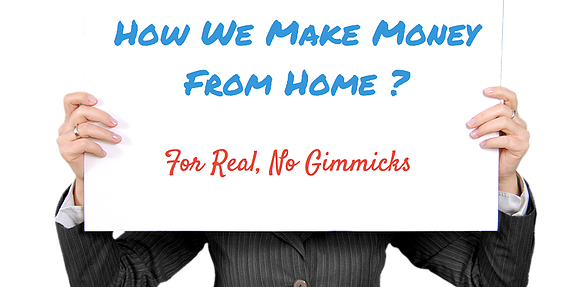 There are ways to make money online or working from home, but it happens the same way as a traditional job. Start a job search, present your skills in the best way, interview for the position, get hired, show up when required, get the job done and get paid. Instead of working for one company we work for several. It is possible to work from home, make a living and be happy with what you do. There are thousands of opportunities to use your skills, help yourself and earn money in a more flexible environment if you choose to do so. If working from home or earning a living online is a goal of yours I want to let you know that it’s real. Unfortunately there is not a book to buy or online course that can be purchased and just collect monthly earnings. Making a living online takes effort and hard work. I hope you enjoyed this post. Would you be interested in a blog about ways to get started on your own? or How to get your first Fiverr gig? or How to stand out when applying for work at home jobs?